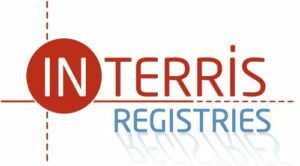 Are you interested in trying the InTerris Registries™ system, but not yet ready to commit to purchasing the necessary hardware and software? Do you need a temporary workforce to deal with digital data processing? QLC Inc. can offer these on a part-time contractual basis. With InTerris Services, you can simply contract a company representative to manage the digital parts of your project for you. Rates are reasonable and the hardware and software is included. Even if you will not start using the system yourself after the work is complete, your data will always remain accessible for viewing and exporting through the free InTerris Registries™ viewing module. InTerris Services is an ideal way to solve temporary work capacity needs, become acquainted with the our AIS software, and see first-hand how archaeological projects can be managed digitally. Your organization will have the benefit of the powerful data capture and management which InTerris Registries™ can offer you, along with the added bonus of having an on-site technician to address any needs you may have.